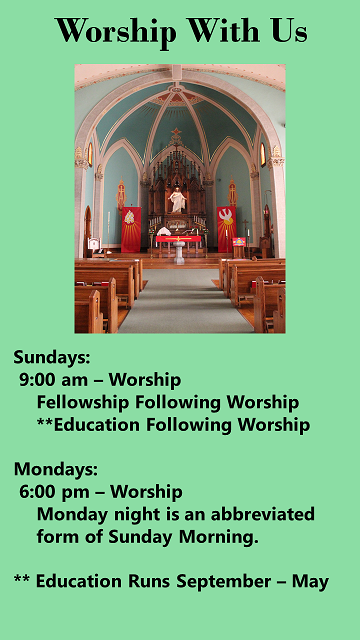 Welcome to Zion Lutheran Church, located in Appleton, Wisconsin. We are a congregation discovering the joys that God has planned for us, and we welcome all who want to come and experience God's work together in our lives. We invite you to explore our website so that you can learn about Zion, our congregation, and other activities here. Feb. 1, 2019 - Please click the link below to view our most recent newsletter. How to Love Your Pastor is a 4 part series given by Pastor John Czarnota that talks about how we can love our newly called Pastor when they come to Zion.